SonoCare is a mobile diagnostic medical imaging solutions provider leveraging technology to combat maternal and infant mortality. Partnering with hospitals and satellite health clinics, it provides affordable and accessible on-demand mobile sonograms and cardiac monitoring to bring services to rural communities. Redbird Health Tech is a medical diagnostics distributor expanding access to healthcare through community pharmacies. Their tests for anemia, hypertension, and blood sugar are key for antenatal monitoring to reduce risks of pregnancy complications and maternal mortality. 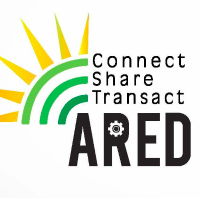 ARED uses a microfranchise model that focuses on women and disabled individuals to provide wifi, mobile phone charging services, and intranet via solar-powered kiosks. IssueVoter is a non-partisan platform that gives its users a voice in Washington by making civic engagement accessible, efficient, and impactful. doctHERS is a digital health and telemedicine company that connects a network of home-based female doctors, who are unable to access the workplace, to healthcare consumers and creates access to quality, affordable healthcare via technology.